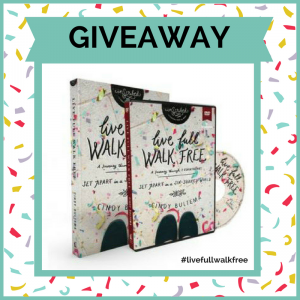 Live Full, Walk Free with Giveaway! Happy Monday, friends! If you love our Inscribed Bible Studies, you will be excited to meet today’s guest. 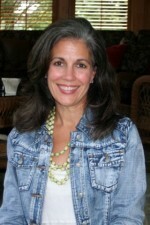 I’m thrilled to welcome our newest Inscribed Bible study teacher, and my friend, Cindy Bultema. 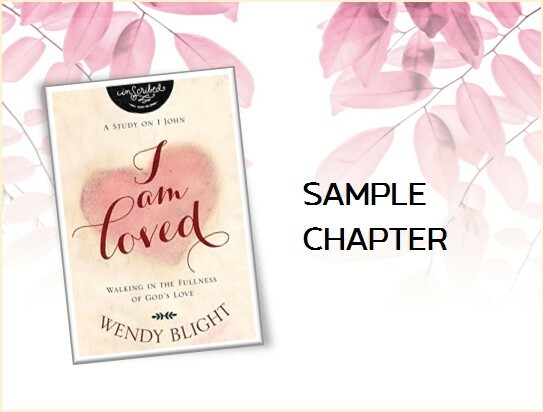 God has given Cindy a beautiful story of redemption that will touch you like no other. She lived for years a lonely, rejected, cocaine-addicted single mom, living an empty, self-defeating, rebellious lifestyle, until the amazing day she met the One who set her free. 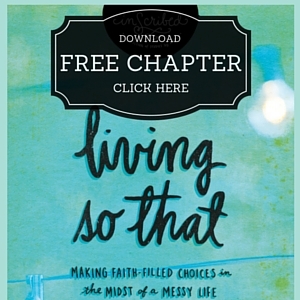 Her newly released Bible study, Live Full Walk Free: Set Apart in a Sin-Soaked World, celebrates her NEW life in Christ. She is now a married mother of 4, and this summer marked her 20th anniversary of being cocaine-free. Hallelujah! Only God!! 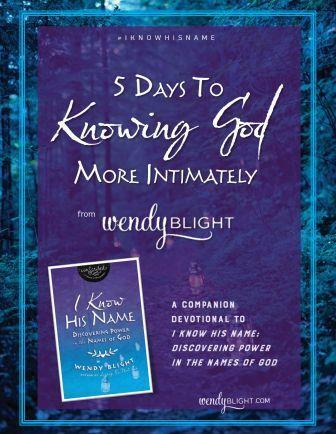 I know you have a deep love for Bible Study so that is why I’m extra excited to share this book with you. Cindy teaches from 1 Corinthians. 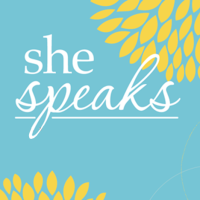 Chapter by chapter, she will take you through Paul’s teachings and equip you to live a set-apart life for Christ in today’s sin-soaked culture. As a red-haired, freckle-faced little girl, my childhood dreams included being a cheerleader, driving a fancy car, wearing sparkly things. On the outside, everything looked fine. I worked hard and loved my 2-year-old son. But on the inside, I was still empty and hurting. Two weeks later, I accidentally overdosed on cocaine. The good news? This year I celebrated 20 years of sobriety. Yay, God! Please know I’m not a trained therapist, just an ordinary girl transformed by an extraordinary God. There isn’t a day I don’t invite Jesus to do His powerful work in my life. I’m desperate for Him. But I must show up to do my part as well. Life’s worth it. Jesus is worth it! Leave a comment before 5:00 pm Friday (2/3) sharing a specific verse God spoke into your heart during a dark time to redeem or deliver you. 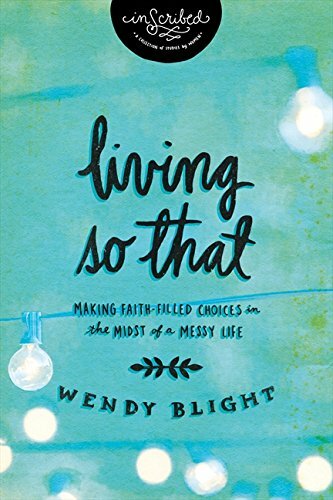 We will choose one name to win a copy of Cindy’s study and the accompanying DVD. I will announce the winner Tuesday, February 7th. You know I love this inscribed series of Bible studies. You both are such beautiful women of God and incredible Bible teachers! You are such an encourager, Kim. Thanks for being YOU! Thank you for your kind words!! You have been an important part of getting the word out about our Bible studies. We are so grateful for you and Jana! I feel like I, along with my husband and two children, are walking in a wilderness and living a Job life right now, for some reason. It’s encouraging to me to know that we will live through this. I’m holding on to this hope. Yes, you will live through it … and never alone … God is walking with you and will never leave you or forsake you. He sees you and will walk it with you every step of the way. I’m praying for you tonihgt, Tricia. Asking God to sprinkle your path with tokens of encouragement to remind you He is with you in a personal and specific way. Believing by faith that our God of HOPE will show Himself strong and mighty on your behalf! I have never done an inscribed Bible study and I would love to do this one. Gale, we have a series of studies. We would love to have you check them out. 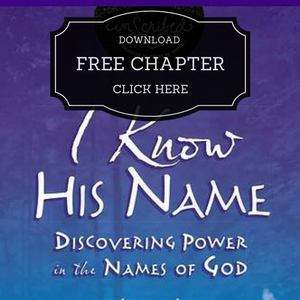 I am including a link below to a free chapter from my one of my Inscribed Studies, “I Know His Name.” It will give you a taste of what they are like. Thank You Lord for Cindy. Thank You Wendy for sharing. You are so welcome! I love to share new Bible studies and Bible teachers with my friends. You are so welcome, Anna! God’s richest blessings to you! “You’ve circled this mountain long enough. Now turn north”. Wow, I LOVE this from Deuteronomy 2:3!!! Thank you for sharing. Amen! I love this passage too, Kim! Praying God infuses you with fresh courage and strength to stop circling and to keep moving forward. Sweet blessings to you! A verse packed with beautiful, power-packed promises. Thank you for sharing. Sounds awesome, just what we all need! God bless! “God is our refuge and strength, a very present help in trouble”! So thankful for the far reaching hand of grace that the Father extends. Blessings to you and all your ministry! Sue, thank you for sharing your verse and for the blessings you sent our way. Polly, I have always loved that God calls Himself our refuge. Thank you for taking us to that name of God and its place in the Word today! Hi Polly 🙂 Thanks for sharing Psalm 57:1 today. It’s not one I’ve committed to memory yet, but I think I need to. What a good Word! God’s richest blessings to you! It is such a wonderful promise to cling to when everything around us feels like it’s falling apart. He created us with a purpose and has a perfect plan. No matter what we are walking through His is working in and through it for our good and His glory. Dear Michelle, Thanks for sharing Jeremiah 29:11. It’s the passage of Scripture shared with me in the midst of my addiction and mess and I still get a little teary every time I hear it. Praying God continues to remind you of His special and hope-filled plans, just for you, friend! Yes, yes!! What a great promise. When we seek Him with all our heart, we will find Him!! Amen, Racquel, Amen! What a powerful verse to remember. How He longs for us to seek and find Him. What a good, good Father we serve! Blessings to you, sweet sister. This verse has seen me through many a dark time. Keep trusting God no matter how rough the road ahead is looking. Amen! We trust in HIM and HIM alone. When we do, He will lead and guide and direct us. We can trust Him no matter where the road takes us. Thanks for sharing. GOD is good, and He is all I need, I know that. Sometimes it is very hard and I am not where I want to be bUT I pray and trust Him,that He dont wanna harm me. It’s easy to say He is all we need, but sometimes it’s hard. We crave approval. I’m proud of you for recognizing this weakness in your heart and seeking to let God be who He promises to be …your All in All. Portion. He is enough!! Thank you for sharing. Katja, thank you for sharing your story. My sense is many of us can relate to looking to others for acceptance and approval. You are so right—people and their opinions will never make us happy, only Jesus. After 26 years of looking for love in all the wrong places, I’ve learned the world’s ways will always leave us wanting more, only Jesus satisfies. Way to be faithful and obedient, sister. Keep looking UP! We are all on a journey. You are not alone! The verse that helped me is: Isaiah 49:16 (NIV) See, I have engraved you on the palms of my hands; your walls are ever before me. This verse became real to me several years ago when I felt separated from God and my life seemed useless. I was reminded about a God who loved me unconditionally and I could not understand it. Then I saw this verse and it became so real to me. I thank God for giving me revelation through this verse of just how much he loves me. Donna, the visual this gives us is BEAUTIFUL!! Thank you for sharing. Dear Donna, thank you for sharing with authenticity and courage. I love hearing how God revealed Himself through His Word to you. Hooray! I’m thankful you realize today that you have purpose, and that you are loved—lavishly, completely, unconditionally. Truth this transformational is meant to be shared! Be sure to keep passing it on! Blessings to you! As well as, Isaiah 41:10 Fear not, for I am with you; Be not dismayed, for I am your God. I will strengthen you, yes, I will help you, I will uphold you with My righteous right hand. Thank you for sharing the newest Inscribed study, and your story Cindy. Thanks for sharing two great verses with us. Two that I’m sure Cindy would say spoke to her on her worst days when she felt rejected and alone. Shannon, you are so welcome. Only God could take my mess and turn it into a His redeeming message. He’s so faithful like that, isn’t He? And thanks for sharing two very powerful verses. I think many of us could use the reminder these days to “Fear not.” So thankful God is in control! Sweet blessings to you! One of my daughter’s life verses. Thank you for sharing. Dear Debbie, Thank you so much for sharing your verse. Proverbs 3:5-6 is one of my favorites too! God’s richest blessings to you. Oh, Lisa, I love this one!! Thank you for sharing. His Spirit living in us enables and empowers us to walk in obedience to Him. We do not walk alone. Dear Lisa, thank you so much for sharing. I love how you have allowed your mess to now be the very message you are using to help and encourage women. Way to go, sister! May the Lord continue to use you to share His light and love, and His hope and healing everywhere you go! The verse God has been giving to me over and over this last year is Joel 2:25. This is such a good verse, so I’m quoting it below so everyone can read it. Thank you for sharing. Amen! When my grandmother had Alzheimer’s and could not remember any of us, she could quote this verse. It was one of her favorites. When we plant God’s Word in our hearts, it NEVER FADES. Thank you for sharing. Dear Eileen, thank you for sharing Isaiah 40:31. One of my all-time favorites! I even collect eagles now to remind myself of God’s faithful promise. Such a good Word! Blessings to you! Dear latoya, thank you for sharing! Jeremiah 29:11 is one of my favorites too. What a powerful promise to know that God has good, hope-filled plans for His children! Sweet blessings to you, sister! T.R.U.T.H, Thank you for sharing!! Amen, Nita! Your God is for you. And that is the capital T Truth! Ezekiel 16:8 spoke directly to my being! “‘Later I passed by, and when I looked at you and saw that you were old enough for love, I spread the corner of my garment over you and covered your naked body. I gave you my solemn oath and entered into a covenant with you, declares the Sovereign LORD, and you became mine.” After 48 years of trying to do this life on my own, the Lord came for me. I too was a single mom, abused and confused, who turned to alcohol and men to make me feel whole. Now, I have Jesus! Best relationship EVER! Beautiful, beautiful. Thank you for sharing a bit of your story with us. It sounds like you and Cindy have much in common. This study will speak to you!! Matt. 11:28 Come to me, all who are weary and heavy-laden, and I will give you rest. There is such comfort in this verse. Believe and you shall see. Thank you ladies for everything you do. Such a precious promise … especially in our world today. Thank you for sharing. And thank you for your words of gratitude. Thank you for sharing, Brenda! What comfort to know our Father is not a demanding dad or a critical coach, but instead longs for us to rest in Him. Woo Hoo! Now that’s a good, good Father! Thank you for sharing this precious promise. Such a powerful reminder, Tedi! Praying our God of hope renews your strength, sweet sister! You’ve got a race to run! Keep going! OMGosh!! This spoke to my heart!! alone we can do nothing but with Jesus we can do anything!! I know. Don’t you love that!!! We can do all things through Christ who strengthens us. Sometimes we forget this amazing promise. Amen, Susan, Amen! The world’s ways will always leave us empty and wanting more; only Jesus satisfies! Jeremiah 29:11 – As I made my way back to the Lord after walking away from Him for years, I had to lean in on this verse. I felt I had no future or hope until I ran back into His arms. Hallelujah! Thank you for sharing a bit of your story with us. Dear Carol, thanks for sharing Jeremiah 29:11. I love this verse too! It’s the verse passage of Scripture shared with me in the midst of my addiction and mess. I’m thankful you found your way Home. Blessings to you, sister! This is going to be incredibly impacting to so many people!!! Thank you for this blog post and for the opportunity to win! Thank you for your kind words!! And for sharing this beautiful promise. JOY always comes with Jesus. Yes, joy comes in the morning. Woo Hoo! Thanks for your kind words and encouragement, Nicci. Super thankful for your support. God’s richest blessings to you! Psalm 73:26 helped me gain Godly confidence to rely soley on His strength and showed me how I desperately need to surrender daily. It has become my life verse as well. Your story ahines Jesus’ saving grace and I am looking forward to walking theough 1 Corinthians with you! This is a great verse. I’m copying it below so everyone can read it. It’s one I have prayed over myself often. Thank you for sharing. Dear Melis, thanks for your kind words and encouragement. Your bright smile shines right through your picture! You reflect Him well, sweet sister. May God continue to infuse you with strength, courage and confidence! I’m humbled to journey with you. Blessings to you! Psalm 46:10 Reminds me that I am not God. It also comforts me when my heart, mind and soul race with anxiety, fear and temptation to just stop and pray. THIS is a great verse. Thank you for sharing. Jeremiah 29:11 is my favorite. Thank you for sharing. It has been a favorite today. Thank you for sharing this precious promise, dear Heidi. Such a blessing to hear how God uses His Word to encourage and impact His kids. Sweet blessings to you! During a time where I felt confused and lost about a certain path I should take , The Lord put this verse in my heart. I know now that whatever decision or Path I take will be the correct one because I will listen to His voice and let Him guide me as I wait patiently in the stillness. Yanira, I love this verse! I just had to make some pretty big decisions, and I clung to Psalm 32:8 day and night. I’m thankful to hear how God used it to minister to you too. What comfort to know His loving eye is on you and me and all the children of the world. Wow. What a mighty God we serve! Psalm 73:23-24 Nevertheless I am continually with thee: thou hast holden me by my right hand. Thou shalt guide me with thy counsel and afterward receive me to glory. I am so grateful that as I struggle through a difficult school year that God never leaves me! Dear Casey, I’m thankful to hear you are clinging to God’s Word in the midst of your difficult circumstances. Your God is FOR you, and will never leave your side! I’m praying now that God infuses you with a fresh measure of His peace and presence. Look for His hand–He is with you! As a divorced, single mother of 3 the road was as is still tough!!! It was in the valley that I learned to endure and allow God to turn what seemed like Death Valley into the breeding ground of his safety!! He met me there!!! He brought me out!!! I learned how to dwell in the secret place!!! The place where the enemy expected me to die! I didn’t die! I yet live proclaiming the goodness of the Lord!!! Angela, you are an overcomer! Thanks for sharing the verse that God has used as you’ve walked this hard road. I was a single mom for six years, and I found God was very near to me too in the secret place. Keep shining, Angela! May God infuse you with fresh strength, joy, and comfort as you testify of His goodness, and make any rough patches smooth. Your God is with you, and that is the capital T TRUTH! Shawnia, thank you so much for sharing your verse and for the blessings you sent our way. God’s richest blessings to you! Annette, amen, amen, amen! A verse packed with beautiful, power-packed promises—He who is in you and me and all us sisters is greater than he who is in the world. Woo Hoo! Thank you for sharing! God’s richest blessings to you! This has gotten me through some very tough and rough times through the last 28 yrs. Amen, Dawn, Amen! Yes–we are set free and we have life in Christ! With Jesus, it’s not shame on you, but shame OFF you! Hallelujah! Thank you for sharing, Dawn! Blessings to you, friend! Of 25 years has been in the ICU 5 months now. about all that is happening. I am trusting in His will. that we are not alone, and that He loves and cares for us. Dear Tanya, I am so sorry to hear of your husband’s health. I am praying for you. I’m asking God to continue to show Himself strong on behalf of you and your husband. I also pray for a fresh measure of God’s peace and presence. May He use other faith-filled women to speak words of hope and encouragement over you, and most importantly, may God remind you day by day, moment by moment, that He is with you. Always. Look for His hand dear sister, you are never alone. “Trust in the LORD with all your heart, and lean not on your own understanding. In all your ways acknowledge Him and He will direct your path.” Prov 3:5-6. My husband of 20 years died of cancer. I had all five of my children still living at home. Ages from 22-9. I saw darkness but the bright light in the tunnel, I knew was the LORD. God is faithful. Dear Dot, I am so sorry to hear of the loss of your husband. I’m thankful you saw God’s hand in the midst of your difficult and painful circumstances. What comfort to know He is always with us, even on our darkest days. Praying for you tonight, Dot. Asking God to shower you and your children with a fresh measure of His peace, joy, hope and strength. Thank you for sharing. Lori, what a verse packed with beautiful, power-packed promises. Thank you for sharing! Jane D, this verse makes me laugh. I remember one day when I was struggling and I literally cried out, “Maybe I don’t want to be mature and complete, God! This is too hard. Can’t I just be a quitter for once?” How the Lord must have laughed at me that day, and thankfully, I did not give up. (Phew!) I love how God’s Word not only encourages us, but is our source of wisdom and strength too. Thanks for sharing! “Do not be anxious about anything, but in every situation, by prayers and petition, with thanksgiving, present your requests to God.” This verse was my rock when I was diagnosed with breast cancer. Dear Kam, I love hearing how God uses His Word to get us through the most challenging of days. I pray He uses you, Kam, and His Word to now come alongside of others to minister, comfort, and encourage women walking a similar road. I’m praying for you tonight…that God would continue to be your rock, and that He would strengthen your frame and infuse you with fresh hope and strength. Thank you for sharing! Proverbs 3:5-6. The Lord gave me these verses over and over and over and over at a time in my life when I desperately had no direction and needed Him to lead me, one foot in front of the other. Amen, Angel. Thanks for sharing the verses God used to provide guidance and direction to you. One foot in front of the other…just keep walking. What a great reminder. Thank you! Yes! What a powerful promise! To know that God will cover us and be our refuge and strength. What an awesome God we serve. Thank you for sharing, Linda! “For My thoughts are not your thoughts, Neither are your ways My ways,” declares the Lord. “For as the heavens are higher than the earth, So are My ways higher than your ways, And My thoughts than your thoughts. Dear Sheila, I love Isaiah 55! Thank you for sharing your verse. God’s richest blessings to you! I have a sister who struggles with a drug addiction after barely surviving a domestic abuse siuation. Seven years ago her estranged husband snuck into the back of her car, shot her, and left her for dead. Thank goodness God had another plan! He miraculously saved her life. However things have not been easy. She is really struggling with addiction, depression, and abuse. I have hope in my God who saved her! I know he’s not finished with her yet. I would love to win this book so I could give it to her. She’s knows OF Jesus but my prayer is that the power of his word come alive in her heart and life. She has a 7 year old little boy who needs his mama! Oh Andrea, I am praying for your sister tonight. I am thanking God for saving her life—literally. I’m asking God to bring full and complete healing to your sister; physically, emotionally, and spiritually. I’m praying that God would surround her with a strong team of faith-filled women to speak words of life, hope and strength over her. I also pray that God would shine His searchlight into her heart and expose the root of her addiction and depression, eradicate it, and then plant new seeds of Truth in the deepest places of her heart. I’m praying that your nephew would grow up strong and mighty in the Lord. I’m also thanking God that your sister has YOU to walk alongside of her, and to pray with her and for her every step of the way. Thank you for trusting us with her story. My co worker (who works 5 feet away from me) has been increasing difficult to work with and not a believer. I have tried to be nice to her but she just does not like me period. Jerm 29:11 is also my favorite verse. Whenever I am struggling at work, I remind myself of this verse and hold it dear to my heart. Please pray for my two kids – My son is in UNC WIlmington and spends most of his nights at his non christian GF’s Apt ( sleeping together.) And my daughter is in FIT Grad School in NYC is currently looking for a friendly christian group where she feels welcome and accepted. She did not feel accepted in the last christian group she attended. Thank you for sharing your heart and prayer requests. I’m praying that God will empower you to continue to shine the Light of His Love into the lives of those in your workplace, especially this one coworker. May they desire what they see you in you!! May it open doors for conversations. And I pray for God to bring believers into both of your children’s lives who will encourage them, hold them accountable and bring them to a place where there is deep friendship and fellowship. Dear Christina, I am joining Wendy in lifting you in prayer. 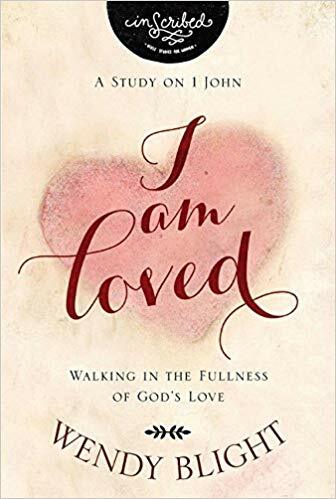 I am asking God to help you see you co-worker through His “lens of love.” May God infuse you with a fresh measure of His love and grace, and may His love overflow and splash all over your co-workers, especially the dear one who is hardest to love. I also pray for your mama’s heart. 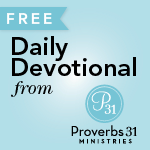 May God make Himself known to your son and daughter in personal, specific, and powerful ways. You are loved! and streams in the wasteland.” (from Isaiah). It helped me tremendously then; it helped me to stay afloat when I thought I did not have the power for anything really; and now when I feel like I start sliding back, I recite it to remind myself about God given hope. Karol, this is such a precious promise. Thank you for sharing. We can endure the hard place when God has promised us He is doing a NEW thing. He has a better plan that we will see when we come out the other side!! Siobhan, I’m so sorry for this long journey you have had with physical illness, which I know can lead to emotional distress. I have an aunt who has had a journey much like yours with the added issue of one stroke and a brain bleed. For years she fought God. But with this last brain bleed last year, she surrendered to it all to Him. Which it sounds like you have. This is truly the most content I have seen her, even in the midst of her issues (same pains, same drugs, same physical limitations) because she takes one day at a time. She seeks Him every morning and every night. Her strength too is found in Him. I stand amazed at both of you. May God continue to infuse you daily with His supernatural strength and faith. And as I pray for my aunt, I pray for your doctors that all things hidden will be revealed. I pray for answers and healing, my friend. You are a brave and strong woman. Thank you for taking time to share your story and your verse today. I’m certain you have touched and encouraged many hearts today. Siobhan, thank you for taking the time to share your journey. I am praying for you tonight. I’m asking God to infuse you with His strength, power, and peace. I’m asking God to sprinkle your path with tokens of encouragement to remind you that He is with you. I’m praying that He will shine His searchlight on the root cause of your illness, and surround you with a Godly medical team to encourage you day by day by day. I echo Wendy’s thoughts—you are a brave and strong women. May God use your story to encourage many to point many hearts towards Him. For me it is Proverbs 3:5-7. I still have to remind myself that its not up to me to make the way out the darkness but to use the light of Jesus to guide me. As a single mom, this verse has spoken to me many times during my mothering of my now 16 year old son: ” I can do all things through Christ who strengthens me” Phil. 4:13. Me too! Me too! In fact, my son would say this verse every time he stepped up to the free throw line in basketball games from the time he was a little boy, and he now plays in college. And my daughter prayed this verse over and over again when she had back surgery to straighten her spine. It gave her the strength and confidence to persevere through the long recovery and rehab. The verse has helped me continue to look to Jesus when I get afraid or confused. Thank you for the opportunity to win a copy of this book & bible study. Linda, thank you for sharing this verse with us. It’s such a comfort to know when we struggle with fear or anxiety or doubt or confusion, God has a personal “word” from His Word for us!! It’s a rhema word, a word He speaks personally and specifically into our need. Only God!! Drug addiction hasn’t been my story, but addiction has affected me. My dad is in recovery now for several year, and my aunt who was probably the most spiritually influential person in my life passed away exactly one week ago today after battling years of drug addiction due to what they believe was an overdose. I’ve also battled addiction of sorts through self injury, eating disorders, and now emotionally eating. Thank you for your words and sharing your story, it’s refreshing to be reminded that Jesus can do such a healing work in our lives. Micah, I’m so thankful Cindy’s message spoke to your heart. Jesus is the answer. He is ENOUGH!! But we have to come to that place where we need Him. I would love to do this or another one of your studies. Thanks for sharing with us! Martha, this is the life verse God gave me for my son. And it is still his life verse at age 19. I LOVE the promises in it. 2 Corinthians 12:9 “But he said to me, “My grace is sufficient for you, for my power is made perfect in weakness.” Therefore I will boast all the more gladly of my weaknesses, so that the power of Christ may rest upon me. I would love this series for my 25 year old daughter. She struggles with a drinking problem. We have a history of addiction in both my husband’s family and my family. This is a wonderful verse to speak life and encouragement into those weak moments. In Him, we can do more than we ever think we could. Thank you for sharing. These words remind me that even if times are hard and I am completely empty or destitute, I can take joy in my God. Yes, Julie, this reminds me that HE is enough. He IS our JOY. Even in the worst of times, the emptiest of times, no one and nothing can take away our JOY. It is His fruit and forever is a part and parcel of who we are. Thank you for sharing. In 2006 at a bible information class this was the verse that made it ALL CLICK for my husband and II. “Trust in the Lord with all your heart and lean not on your own understanding, in all your ways acknowledge him and he will make your paths straight.” Proverbs 3:5-6 And many many of the days in the following years, it’s given us peace when going through tough days! Karen, so special that you and your husband have a common passage that has carried you through the hard times. Thank you for taking the time to share it with us. The Lord has faithfully given so many verses over the years that it is difficult to narrow it down. 2 Samuel 22:31 As for God, His way is perfect; the word of the LORD is proven: He is a shield to all that trust in Him. Psalm 103:13-14 As a father pities his children, so the LORD pities those who fear Him. For He knows our frame; He remembers that we are dust. I am so in need of His mercy and grace. Psalm 119:68 You (God) are good and do good. Isaiah 43:18-19 Do not remember the former things, Nor consider the things of old. Behold I will do a new thing, Now it shall spring forth; Shall you not know it? I will even make a road in the wilderness and rivers in the desert. During scary, terrible trial and now during a season of extremely painful rejection. Psalm 28:6 Blessed be the LORD, Because he has heard the voice of my supplications! Kathleen, you have had more than your fair share of trials and struggles. How beautiful it is to see how God has met you each time through the promises and truths in His Word. I trust that because you took the time to write each one out, the Lord will use these passages to bless and encourage others. Thank you! And may you continue to see Him at work healing and restoring. Reminding you of your great value simply because of WHOSE you are and WHO you are in HIM!! The last 10 years of my life have been valleys and mountains – I felt lost, wondering, and journeying with no real purpose until he gave me Isaiah 54 and 61. I fell in love with these words, these promises and direction. He took me on a redemptive and restorative path of repentance and forgiveness. Amazing! He loves me, not all the behaviors and wounds, but me! And his love wants to heal me and lead me to a place of inner wholeness and complete dependence on him. Amen, Carol!! What a testimony to God’s faithfulness and God’s Word, “He took me on a redemptive and restorative path of repentance and forgiveness.” THIS is what God’s Word can do when we read it, ingest it and digest it!! Isaiah 61:1-3 and Lamentations 3:22-24 have carried me through more hills and valleys than I can even count. Thank you, Becky, for sharing your verses and how they carried you. I am printing them out here so women can read them for themselves and be blessed. Two beautiful passages full of promises. WOW! What a testimony! I can identify with MOST of her testimony. I found Jesus on the floor of a cold scary psychiatric hospital! I was and still am a single mother of 3. One is now married. Life isn’t easy but I keep remembering over and over on the hard days that…. Thank you for taking the time to share a glimpse of your story and how God used His Word to speak into it. Hi Wendy!!! 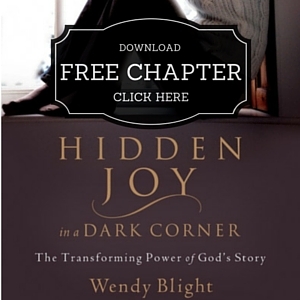 I read Hidden joy in a dark corner SEVERAL times!! As a matter of fact I keep it close and refer to it many times when I feel overwhelmed. Thank you for writing that book, your testimony has helped soooo many people! Shame and guilt consumed me. Your book is amazing!! Thank you, Noelle, for your kind words of encouragement and words of wisdom, “The prison gates of people pleasing is an interesting addiction because it can masquerade as being Christ-centered.” Really makes me stop and think! I tried and tried and tried to fix myself and always failed. I was so discouraged and thought i was broken beyond repair. The problem was I was trying to fix myself. All i needed to do was have a willing heart and cry out to Jesus. He is fixing me. It’s hard but so well worth it. Yes, Joy!! He is ENOUGH. We need to surrender our hearts to Him, and trust Him to finish the good work He has started in us. That is His promise. It is hard, but He is trustworthy. When my son was younger, he was involved in an accident and the other driver passed. He struggled with this as the man was a friends father. I felt for years this happened for him to learn from, but during a conversation someone asked me…”do you think this happened for you to learn?” I wasn’t happy and was quite offended. I felt God had a purpose and plan for my son. As I sat there frustrated and mad at this person, I suddenly felt God’s presence as He asked me – “When you are not with him who is?” I sat there quietly and said “You are.” He said “why do you worry if I am with him?” It really took me by surprise – I worried and worried all the time about him and suddenly realized that I was worrying when He was with him….1Peter 5:7 “Give all your worries and cares to God, for He cares about you”. Wow! What a powerful message for those of us who are moms especially. We worry about your children SO much, when what God wants us to do is TRUST HIM with the ones He entrusted to us. He loves them more than we do. He promises to equip those He calls, and He calls us to be their moms. Such a great verse and story. Thank you for sharing. Thank you Wendy and Cindy for today’s devotion. As I read your story Cindy, I could so relate to your story in so many different ways. It was during one of the deepest and darkest times in my life that I cried out to Jesus to save me!! He heard that cry, and He ever so gently whispered to me, that it was all going to be okay, that He loves me and was with me. It was Psalms 46:10 “Be still and know that I am God” that He used to speak to me. I cling to this verse and still do to this day!!! I am so grateful for His grace, love and mercy He bestows on my life each day I’m on this earth. Love and Blessings to each of you precious daughter’s of our King!! Thank you, Denise, for your sweet words of encouragement and blessing. I think it’s precious how the Lord has called so many of us to BE STILL before him when we cry out. He needs to still our hearts and minds so that He can begin a great work in us. After going through a bitter divorce over 25 years ago, I read in Jeremiah that God will give me a future and a hope. Jeremiah 29:11 became my life verse that has sustained me through the years. He has given me hope and a future that included a wonderful husband and a secure future. I also found that Philippians 4:6-7 has given me direction for my life. “Have no anxiety about anything, but in everything, by prayer and supplication,with thanksgiving, let your requests be made known to God. And the peace of God which passes all understanding will keep your hearts and minds through Christ Jesus.” This peace has been the standard to keep me on the path of righteousness. These are two great verses. Thank you for not only sharing them with us but sharing a bit of your heart and how God used them. 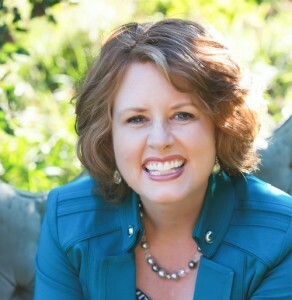 Dear Kathy, I’m so thankful God revealed Himself to you through His Word. Years ago I was faced with difficult circumstances and a mentor reminded me I could choose “better or bitter.” I’m so thankful YOU too have chosen better. May God continue to use you to reveal His hope and healing to others. Keep shining for Him! Oh Tina, thank you so much for sharing your story. What a mighty God we serve. I love how you can see God’s hand not only rescue you from destructive choices, but deliver your mom from her challenging circumstances. I’m rejoicing with you that your mom is experiencing God’s peace! May God continue to show Himself strong and mighty–to you and your mom! You are loved! Dear Moya, I am so sorry you and your husband are going through some years of pain. I’m thankful you are leaning hard on God and His Word. I am praying for you tonight, asking God to help you feel your emotions, deal with the pain in healthy ways, and then for God to continue to heal the broken places. I’m so thankful we serve God Who promises to bind up our wounds, little stitch by little stitch by little stitch. May you sense God’s love and strength, and continue to experience His peace and Presence. You are not alone! I was very sick in a coma for almost 2 months when I woke up I knew,God was with me..I could feel His peace and love. I had to learn to walk, talk, feed myself…everything…it was painful and hard..I would say this verse over and over and He gave me the strength. Lana, what a powerful story! Wow! You are an overcomer! Thanks for sharing how God’s Word was your strength. What a mighty God we serve! May He continue to infuse you with His strength and peace. You are not alone! Phil 4: 6Don’t worry about anything; instead, pray about everything. Tell God what you need, and thank him for all he has done. 7Then you will experience God’s peace, which exceeds anything we can understand. His peace will guard your hearts and minds as you live in Christ Jesus. Jeremiah 29:11 For I know the plans I have for you ….. 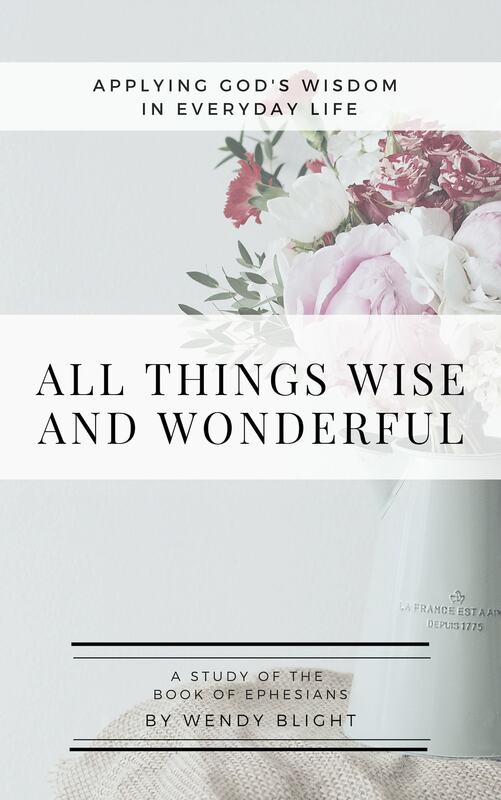 When I was going through my divorce, this verse gave me hope that God had great plans for me – in spite of what was going on at the moment. He is so awesome! Thank you for your ministry! !